Right off the bat, I could tell that Matty & Riley were a great pair. When a couple describes their relationship in their initial email as being like Pam and Jim from The Office, of course they’re going to be awesome! 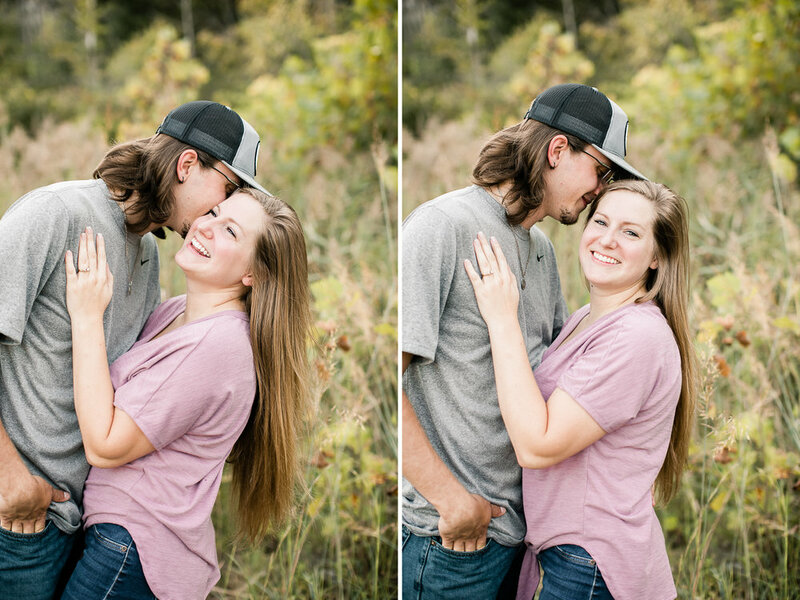 Earlier this fall, I got to adventure to France Park for Matty & Riley’s engagement session and we had a blast! While the views were killer, their relationship blew me away even more. They were constantly making each other laugh, teasing each other, snuggling up, and there was even a some flirting going on ;) It was the cutest sight to behold and it makes so much sense as to why they’re getting married. They are soulmates! Also they both have hair GOALS. Keep scrolling to check out those luscious locks!